Full Scale strives to invoke their audience’s happiness, youth and sense of nostalgia with the memorable classic music of years gone by. This group of studio musicians prides themselves in re-constructing and presenting popular rock and roll dance music from the 60s,70s, 80s, & 90s … not only taking a classic “standard” and breathing new life into it, but also bringing songs seldom performed by others back to life. 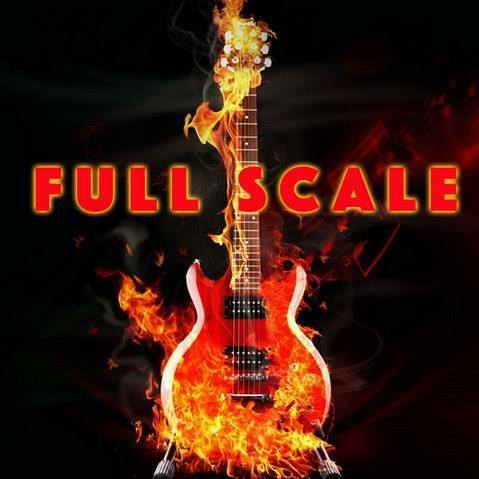 Armed with multiple guitarists, Full Scale is able to recreate those “note”worthy dual guitar lead licks from the 70s. Add the rock solid bottom of bass and electronic drums, plus the extreme sonic palette contributed by piano, organ and synthesizer, and the audience soon finds themselves once again experiencing the “Full Scale” sonic sensory stimulation of their youth.